Top members of the infamous computer hacking group LulzSec have been arrested and charged by the Federal Bureau of Investigations. The FBI New York field office has confirmed the charges and said a court appearance is set for Tuesday. The trial will be prosecuted by the US District Attorney's Office. Earlier news reports said that three of the five hackers were arrested and the other two were charged with conspiracy. The five are identified in the report as Ryan Ackroyd, aka "Kayla" and Jake Davis, aka "Topiary" from London, two residents of Ireland, Darren Martyn, aka "pwnsauce" and Donncha O'Cearrbhail, aka "palladium", and Jeremy Hammond aka "Anarchaos," from Chicago, USA. According to the FBI press release, all but Davis face charges of computer hacking conspiracy and varoious other charges. Each carries a maximum 10 year prison sentence. One of the detained, Jeremy Hammond, is named in the report to have been the main person behind the hack on US security company Stratfor last year. It is reported that the arrests were made possible after turning the group’s "senior leader", Hector Xavier Monsegur "Sabu", 28, who is believed to be a cooperative witness after the FBI turned him last June. Monsegur pled guilty to several charges of computer hacking conspiracy, for which he could receive a maximum of 124 years behind bars. According to the court papers, Sabu was an "influential member of three hacking organizations – Anonymous, Internet Feds and Lulz Security – that were responsible for multiple cyber attacks on the computer systems of various businesses and governments in the United States and throughout the world." He allegedly acted as a "rooter," a computer hacker who identified vulnerabilities in the computer systems of potential victims. 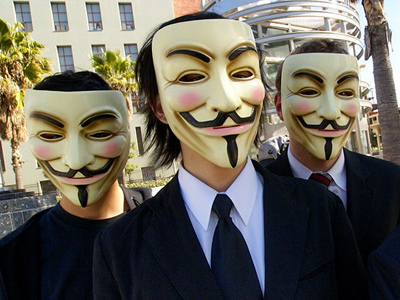 Following the reports, Anonymous posted on its Twitter feed: "We are Legion. We do not have a leader nor will we ever. 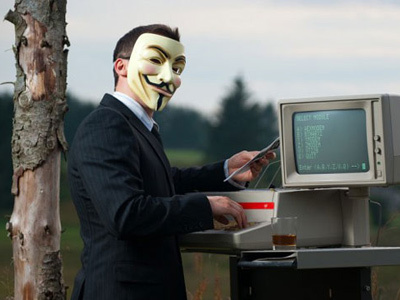 LulzSec was a group, but Anonymous is a movement. Groups come and go, ideas remain"
It is unclear what to expect from Anonymous in reaction to the arrests. The hacking group is known for revenge cyber attacks. After 25 Anonymous members were arrested on February 29, the group downed Interpol’s main website. 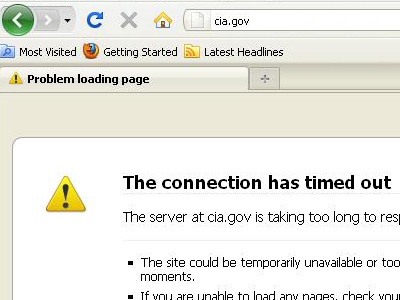 The same thing happened when the CIA website became a victim of Anonymous. The group also downed several large music industry websites in responce to the shutting down of Megaupload and the arrest of its founder Kim Dotcom. News reports have quoted several FBI officials involved with the investigation as saying "this is devastating to the organization", and claiming these arrests are "chopping off the head of LulzSec." Anonymous were quick to reply, using their twitter AnonyNewsNet handle to say "by no means is this 'cutting the head off' of #Anonymous or 'devastating to the organization'. Do we really have to explain why?". The same account was also used to post comments about how the betrayal was not news to most of Anonymous members, as "Sabu was pegged for f*cking months as a turncoat". 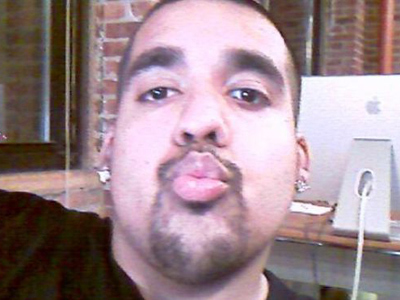 The evident change is mentioned a lot and by many – including Gizmodo editor Sam Biddle, who said in his article that he personally "talked to Sabu multiple times, and on each occasion he's seemed more and more distant, to the point where it was hard to get in touch with him at all. Now, says the FBI, it's because he was busy ratting out his cadre." The irony is painfully evident – the man who every week helped the internet community celebrate #FuckFBIFriday allegedly did so sitting at an FBI desk. But Anonymous members everywhere seem to have been united by this betrayal, rather than disheartened, as the Feds may have hoped.